I’m a big fan of notebooks, especially ones with thick paper so that I can doodle, write and add things in. 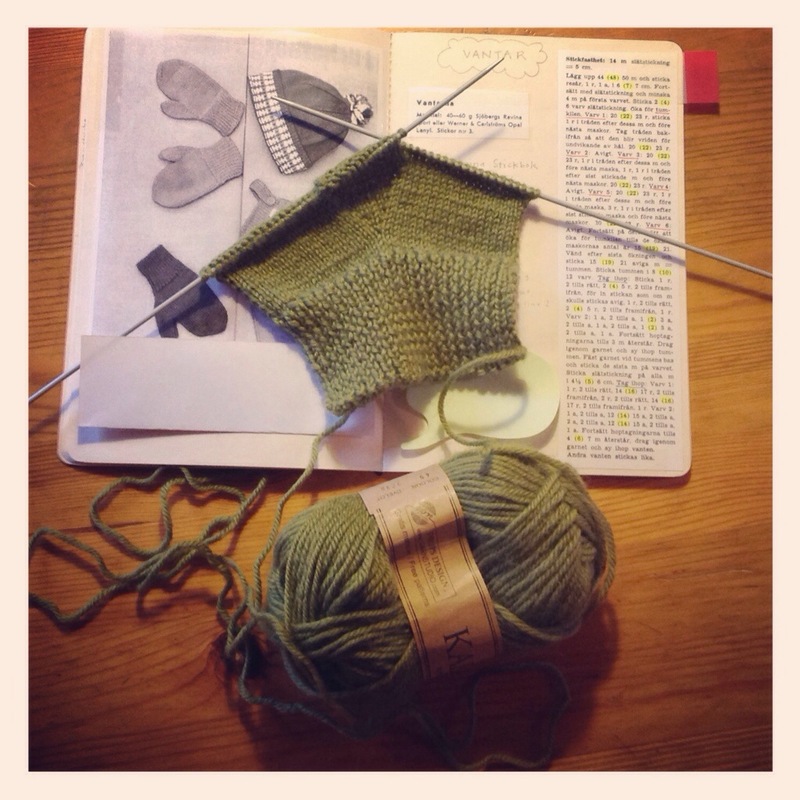 But lately I’ve been finding most of my knitting inspiration online and can’t be bothered to print out all the pictures. 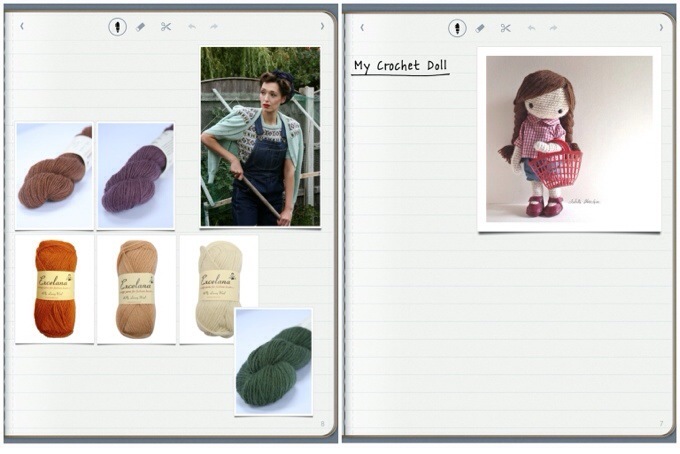 Since I’m usually using my iPad lately I’ve started to organize my inspiration in Penultimate. I need my stylus to write, but other than that it’s easy to work with and I really like the style I get. Almost like my beloved notebooks! How do you organize your inspiration and your project queues? 1. Cute and Cozy. 2. BabyDROPS 18-1. 3. DROPS Extra 0-982. 4. Summer Jolly. 5. Winter Wonder. 6. BabyDROPS 17-6. All designs can be found on Drops Design garnstudio. 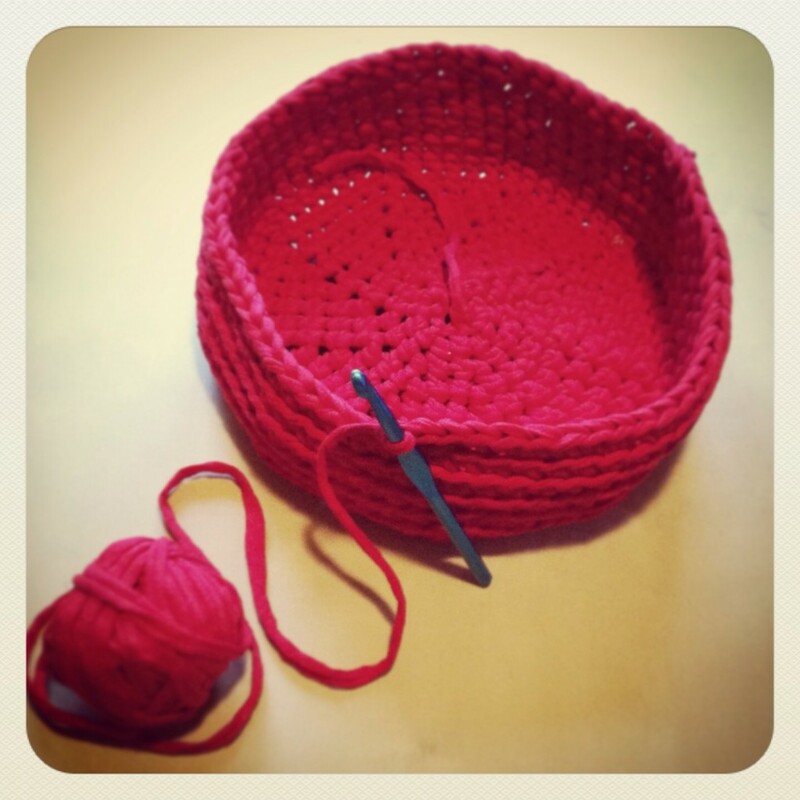 I’ve been browsing the patterns on garnstudio.com, the Drops yarn website. 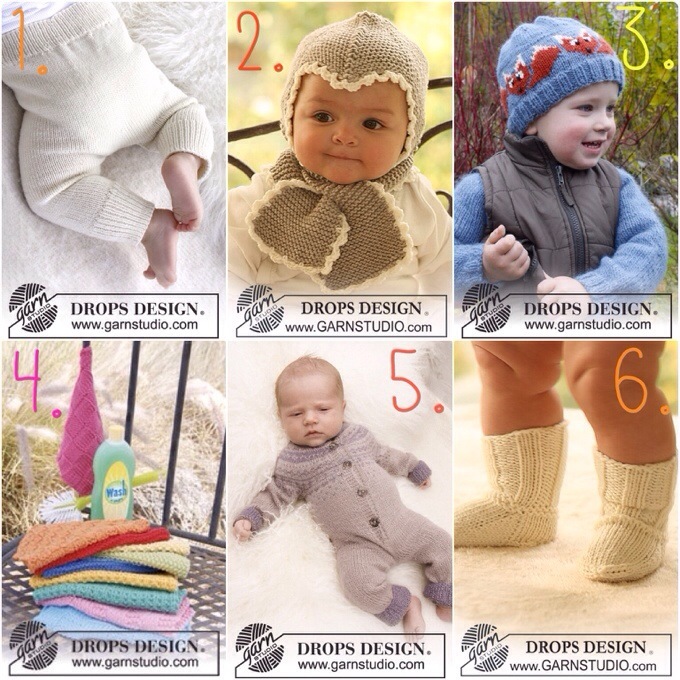 There are several cute and practical baby and toddler patterns and a few of them has made it to my knitting queue. 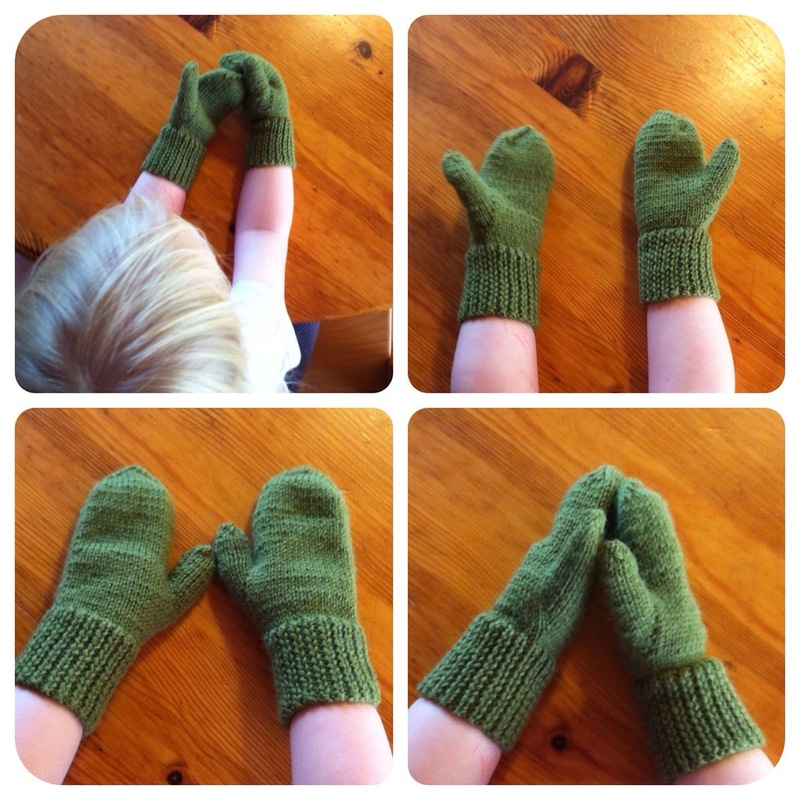 I have started with a pair of pants, Cozy and Cute, for my youngest. 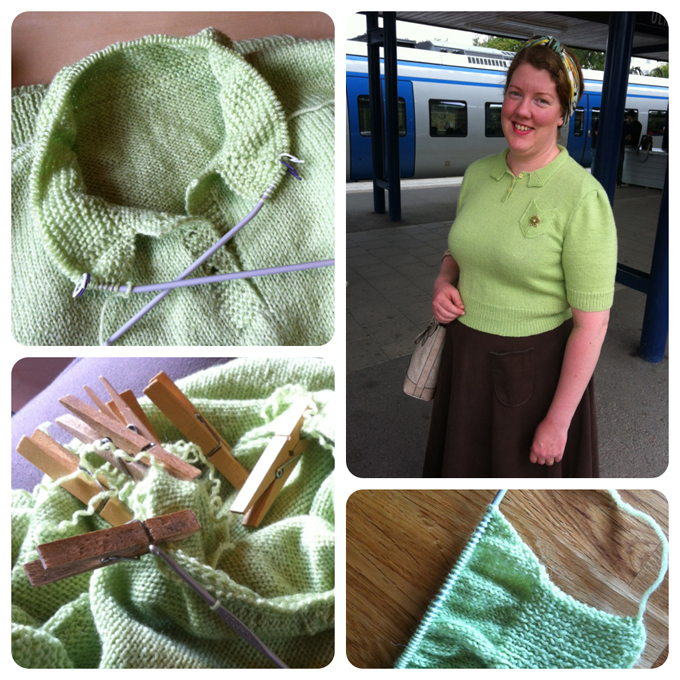 Worked in green Baby Merino from Drops. So far I’ve ripped up a couple of cm twice because I’ve managed to pick up an extra stitch. But on the bright side I’ve been doing a variation on picking up the wraps on my short rows which turned out very nice! 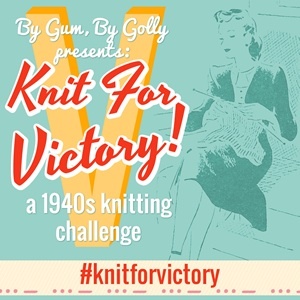 I have joined a knit along, Knit for Victory, hosted by Tasha at By Gum, By Golly. 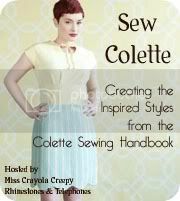 The challenge is to knit one, or several, pieces with a 1940s feel to it. 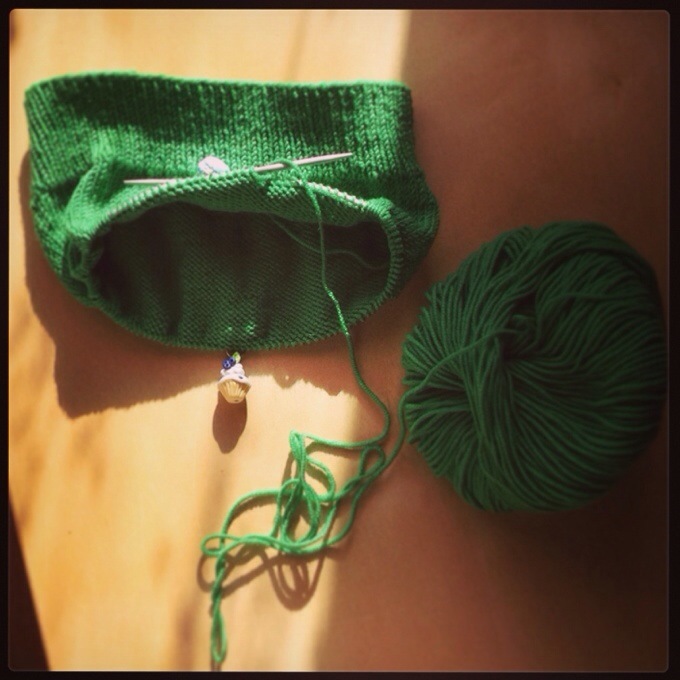 It runs from November 4th to January 31st and I have already made some progress on a wip cardigan I have. 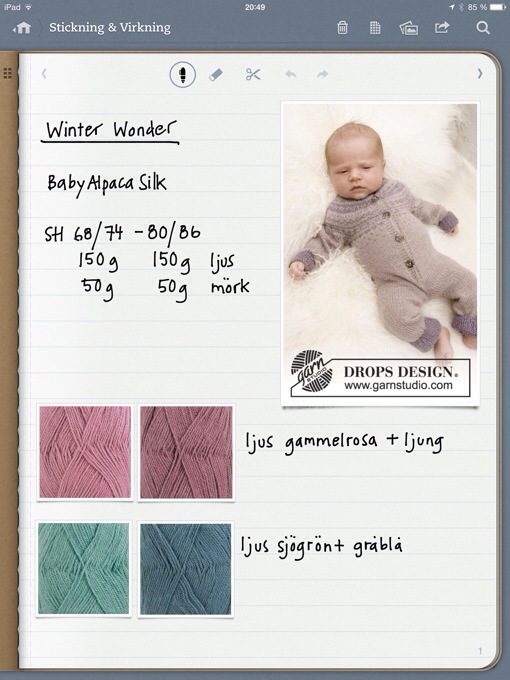 Plans so far includes the cardigan, Tashas newly released Victory beret pattern, and hopefully mittens and scarfs for my daughters. Check out the flickr group for all the pictures! My sewing table is covered with materials for lingerie. These last weeks has been all about bras. 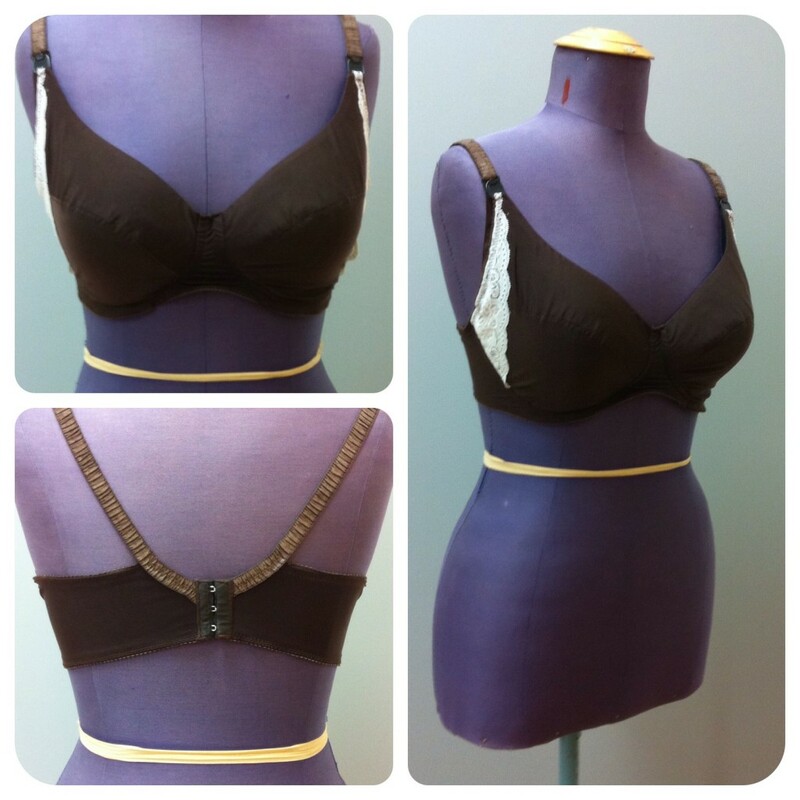 I’m experimenting with patterns for nursing bras. 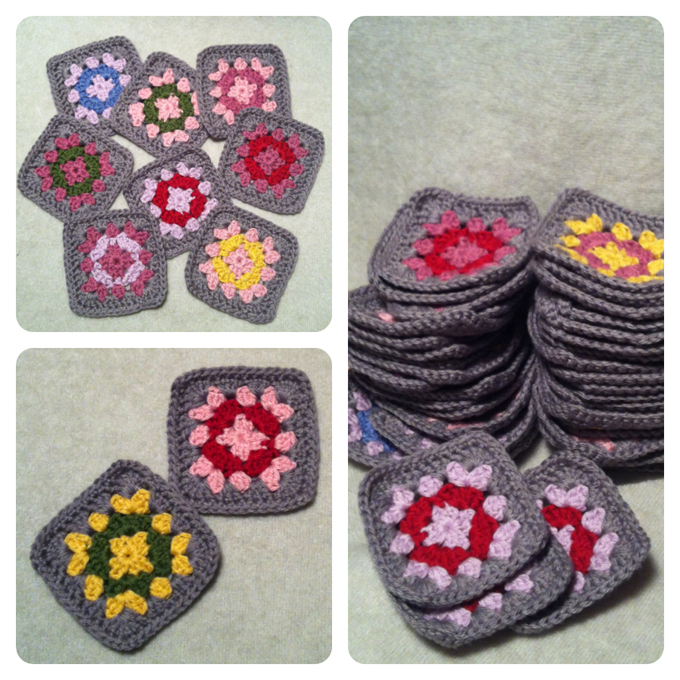 So far I’ve made two using different patterns and I’m now on number three. These projects definately needs some serious tweeking before I’m satisfied. Next step is to try them with underwire.